Hi Everyone! I have the most delicious yet easy dessert idea to share with you today! The other day, I got such a craving for some crepes and so last night, I decided to make a batch. 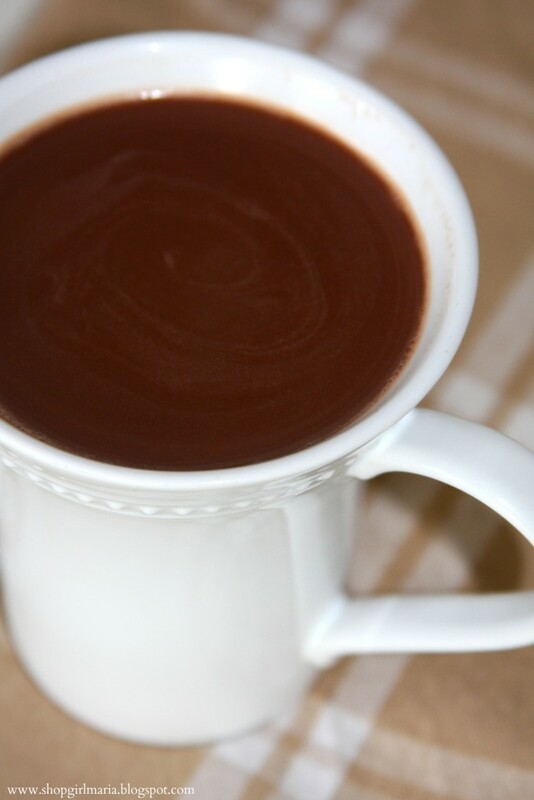 Because what’s better than a sweet, indulgent dessert on a cold, snowy day. 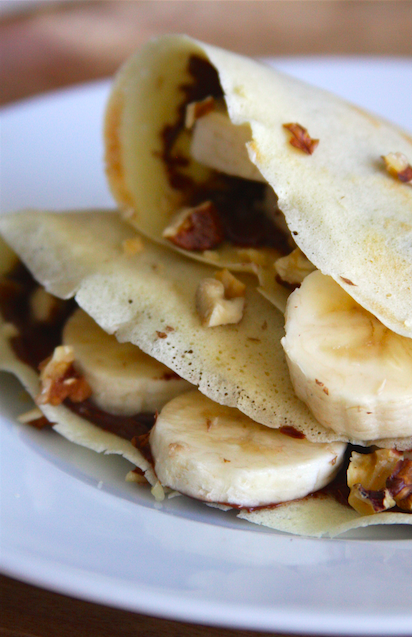 Crepes are one of my favorite desserts, especially stuffed with fruit, nuts and spread thick with Nutella! It has literally taken me years to even somewhat master the crepe making technique. They are still not as perfect as my mom’s, but I doubt that they ever will be! The key is in making a good batter and letting it rest for a while before cooking the crepes, not using too much oil, not turning the heat up all the way and getting the batter swirled around the pan as soon as it hits it. I always use this recipe, which makes a nice creamy batter. So if you’re in the mood for something sweet this weekend, give these a try! To make the crepes, follow these directions that I posted in my crepe recipe. 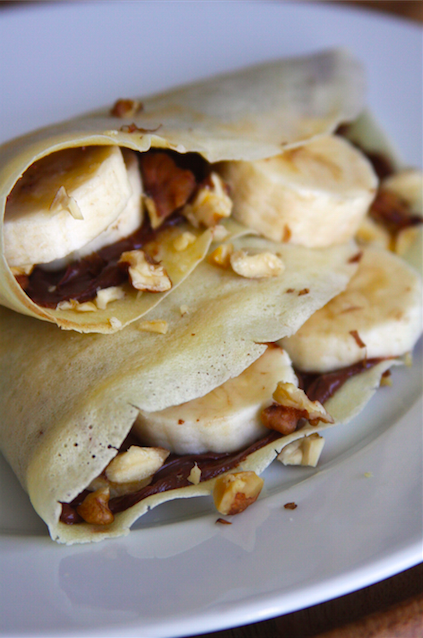 To make these stuffed crepes, simply spread some Nutella on each crepe, add sliced bananas and chopped nuts, fold over and eat! 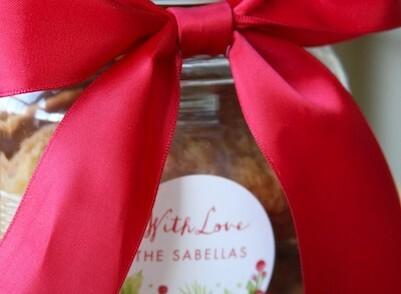 There are so many other sweet filling options, so you can be as creative with this as you like! You could use sliced strawberries (another favorite when paired with Nutella!) & other fresh fruit, whipped cream, jam, lemon & sugar, caramel sauce, chocolate sauce…. and any other delicious thing you can possibly think of! I love savory crepes too, and will have to share some of my favorite savory filling recipes (including creamy mushroom!) with you one of these days! 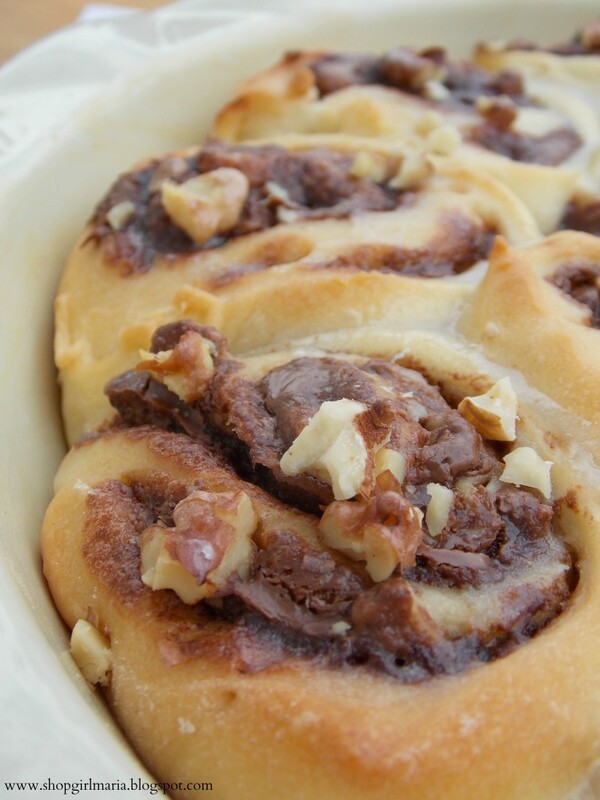 For more Nutella deliciousness, check these recipes out! It’s my favorite combination too… so delicious! 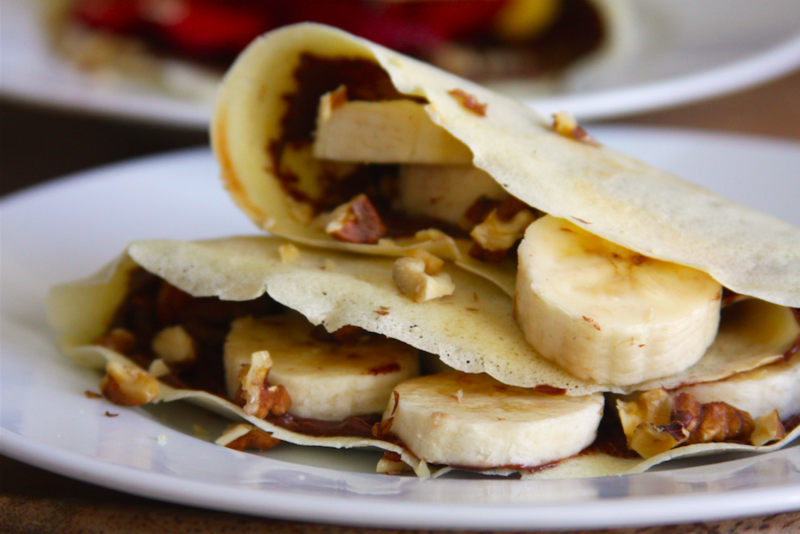 I just love Crepes and these look fantastic! Happy St. Patrick’s Day and thanks so much for sharing with Full Plate Thursday! 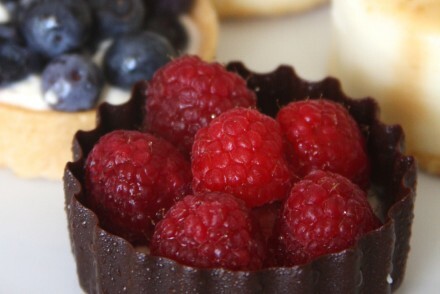 Oh my goodness, my mouth is watering just looking at these! Yum! I’m featuring these at today’s Creative Spark party. Stop on by to grab a “featured” button and link up again! Thank you so much, Emily! They are one of my favorites! Hope you are having a great week! These look a-mah-zing!!!! 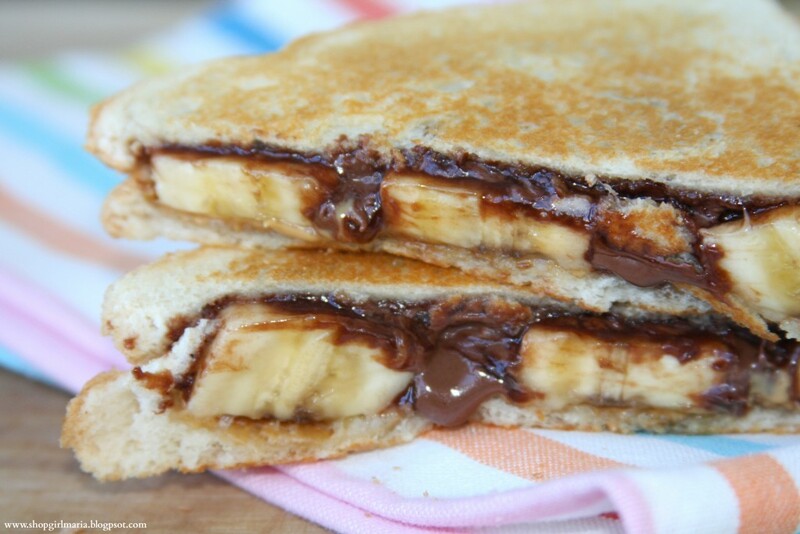 I’m down for anything with nutella. I have never made crepes before… always been too intimidated. Maybe I will try after this! Thanks, Angelina! I love these crepes. I was intimidated by them for the longest time too (and the first one or two still never turn out good!) 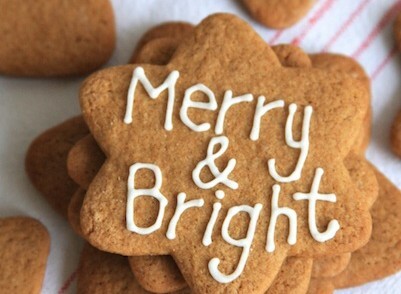 but after some practice, they’re not too hard to make! I love them both sweet and savory… so many possibilities 🙂 Thanks so much for stopping by today! Have a wonderful rest of your week!